1. In a large stockpot, combine the flank steak, mustard seed, bay leaves, peppercorns, and broth. Simmer gently until the flank steak is tender. Remove steak and cool. Cut the flank steak into a small julienne and reserve. 2. Heat the oil. Saut� the onion, jalape�o pepper, and garlic until tender. Add tomatoes and simmer gently over low heat for 10 minutes. Add cilantro, cumin seed, and reserved flank steak; continue to simmer. 3. Add the olives; adjust seasoning with salt. Remove pan from heat. 4. Portion the flank steak filling on tortillas. Roll up the burritos to enclose the filling. 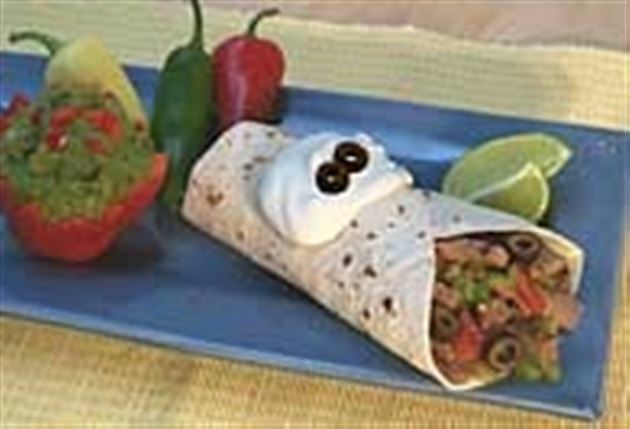 Enjoy this delicious flank steak burrito Mexican recipe!